What’s missing from the famous Aspire Cleito tank lineup? 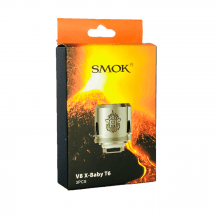 If you asked a few people in 2016, they might have mentioned the fact that the coils available at that time didn’t support high-wattage vaping. While the original Aspire Cleito was a cloud beast for its time, the tank’s coils topped out at just 70 watts. In the face of new high-wattage tanks from companies such as SMOK, the Cleito was starting to look a little long in the tooth. 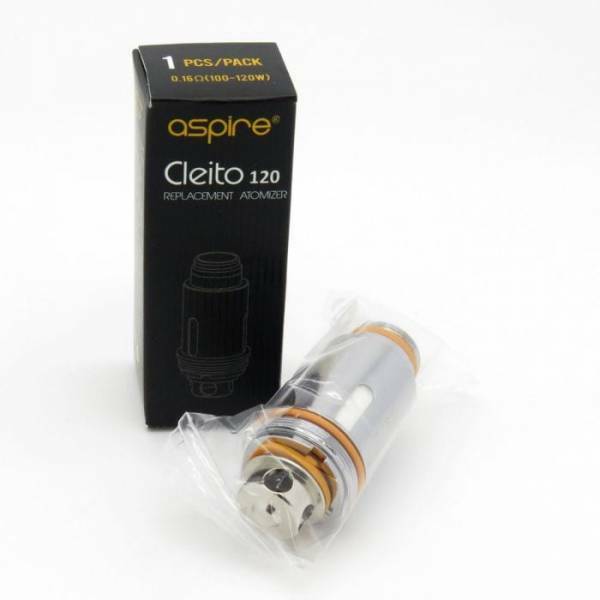 With coils capable of operating at up to 120 watts, the Cleito 120 was Aspire’s answer. The Aspire Cleito 120 brings even bigger clouds to the Cleito series while retaining the features that made the original tank great. 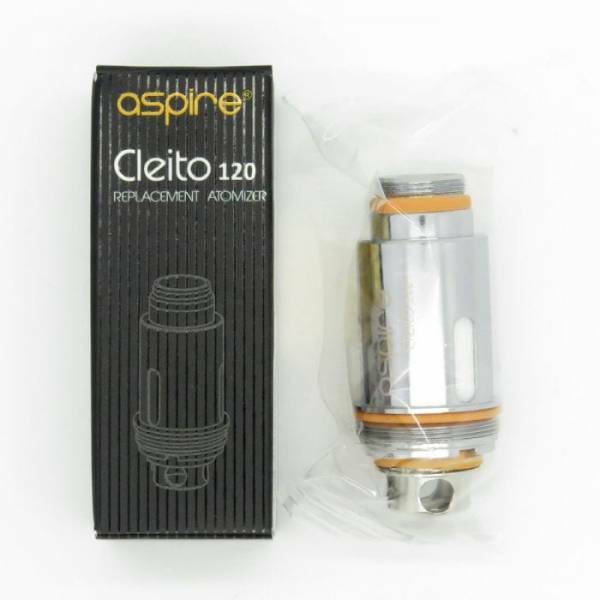 Grab your replacement Aspire Cleito 120 coils right here! Every coil from Vapors Planet is guaranteed authentic, and our coils always ship free. What’s missing from the famous Aspire Cleito tank lineup? If you asked a few people in 2016, they might have mentioned the fact that the coils available at that time didn’t support high-wattage vaping. While the original Aspire Cleito was a cloud beast for its time, the tank’s coils topped out at just 70 watts. In the face of new high-wattage tanks from companies such as SMOK, the Cleito was starting to look a little long in the tooth. 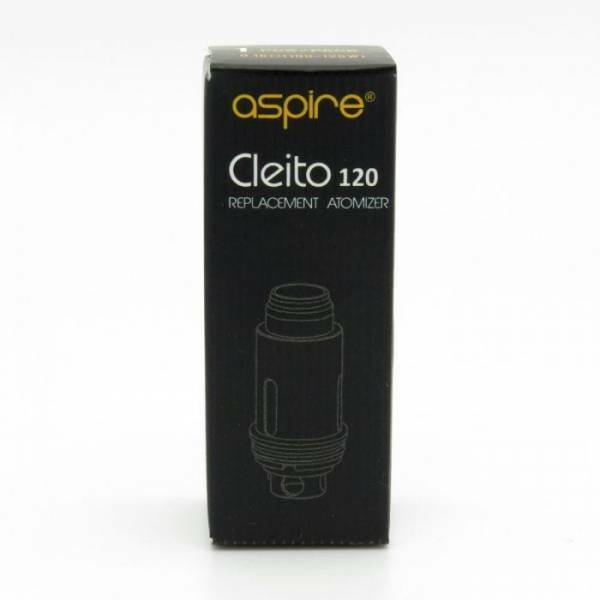 With coils capable of operating at up to 120 watts, the Cleito 120 was Aspire’s answer. The Aspire Cleito 120 brings even bigger clouds to the Cleito series while retaining the features that made the original tank great. Grab your replacement Aspire Cleito 120 coils right here! Every coil from Vapors Planet is guaranteed authentic, and our coils always ship free. What’s Special About the Aspire Cleito 120? Like the original Cleito, the Aspire Cleito 120 features a no-chimney design — the coil is the chimney, and vapor goes directly from the coil into your mouth with nothing getting in the way of the flavor. The Aspire Cleito 120 has huge coils with plenty of cotton. 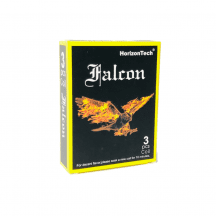 The coils easily support deep puffs and are very long lasting. With support for high-wattage vaping, the cloud production of the Aspire Cleito 120 is even more impressive than that of the original Cleito. Note: Click here for original Aspire Cleito coils. 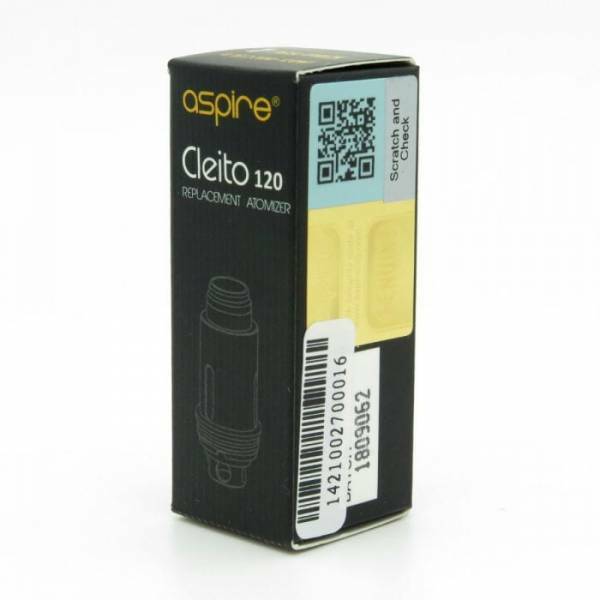 Aspire Cleito 120 coils work only in the Aspire Cleito 120 tank. They do not work in the original Aspire Cleito, the Aspire Cleito Exo or the Aspire Cleito Pro. Try the new Aspire Cleito 120 mesh coils! 0.16-ohm coil: Suggested operating range of 100-120 watts. For direct-to-lung inhaling.